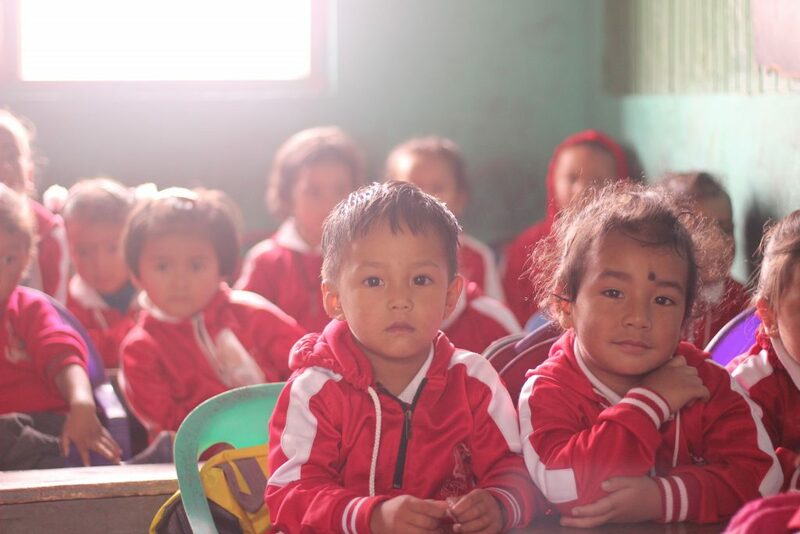 One of our trustees, Ruth, reflects on her visit to Kalimpong earlier in the year. Having developed our PIQUE programme in NE India last year, Ruth returned to see how the schools were progressing. Returning to Kalimpong is so relaxing. I know what to expect, who I am working with and have my favourite places to return to. Santa comes to meet me at Bagdogra and we talk non-stop all the way up the mountain. His enthusiasm is infectious and my jet lag disappears amidst plans of schools to visit, agreements to be sought from headteachers and arrangements in the new offices. I spend the first day in the new office with Santa, just a short walk up the hill from my homestay. It’s a calmer, more airy space without the backdrop of traffic jams and noisy demonstrations that the old office had. We can talk easily and sit around the computer undisturbed – but still that unique Kalimpong magic of ladies appearing (from who knows where) with tea at regular intervals! On the agenda are how to make best use of volunteers and how to respond to Indians wishing to join us rather than overseas volunteers; the use of social media and the websites being used to promote Mondo Challenge Kalimpong and the village tours; Santa’s management evaluation grid; plaques for the schools and a schools/Mondo agreement draft document. Money has been sourced to buy new computers, but the challenge is what type, how they will be used and who receives what for maximum impact. We also map out a schedule for my week (I find I am allowed Easter Sunday off!) and plan the agenda for when we meet with headteachers. That in itself is a mammoth challenge given the national holidays over the Easter weekend – the irony of how as a UK teacher I am only free during holidays, when the Indian schools take a break too! But as ever in Kalimpong, everything comes together. Despite spending all day with me, Santa manages to use the few hours of the evening to arrange the logistics of the proposed schedule and it all works like clockwork. Headteachers agree to meet on the holiday or on Saturday; we combine our journey out to Barranumber with the required meeting of Village Tours clients and we manage to visit all the volunteers in their placements as well as organise a dinner together! The headteacher meeting is very positive and as well as sharing their evaluation schedules (which show hard work and determination since we last met in the summer), the teachers have their own ideas for moving our work forward. Punctuated by laughter and jokes, our meetings progress through the packed agendas with positivity and enthusiasm. As we drive out to the village for our one day off, we are buoyant with what has been achieved. Easter Sunday sees me without an egg hunt, roast lamb or even a nibble of chocolate. I had hoped to go to Church, but decide I can say my own private prayer when I learn that the service in the village would likely last 3 or 4 hours! But despite it being a less-than traditional day for me, I still feel it is a family day and that I am part of the extended family. I am always touched by the warmth and kindness with which Santa’s family greets me and that despite the language barriers, how ‘at home’ I feel. A quiet day on the side of this remote, hidden mountain leaves me refreshed, reflective and ready to return. Santa and I have a final day together, agreeing what we’ve achieved and what our next steps are, as well as the documents we need to finish and email to each other. It’s with mixed feelings that I say good bye – sorry to be leaving, but happy in the certainty that I’ll be back many, many more times. The following week, back in my own school, colleagues comment on my busman’s holiday, concerned that I’ve not had time for myself or had a rest. How do I explain that a week working in Kalimpong does give me time for myself, does refresh me and leaves me rested and ready to go again?